CORRECTION: A previous version of this post said the U.S. was set to institute new sanctions on Iraq, that is incorrect. In fact, the U.S. is set to institute sanctions against Iran. The U.S. has sent a guided missile destroyer off the coast of Yemen on a presence operation following a suicide boat attack on a Saudi frigate this week, a defense official confirmed to USNI News. 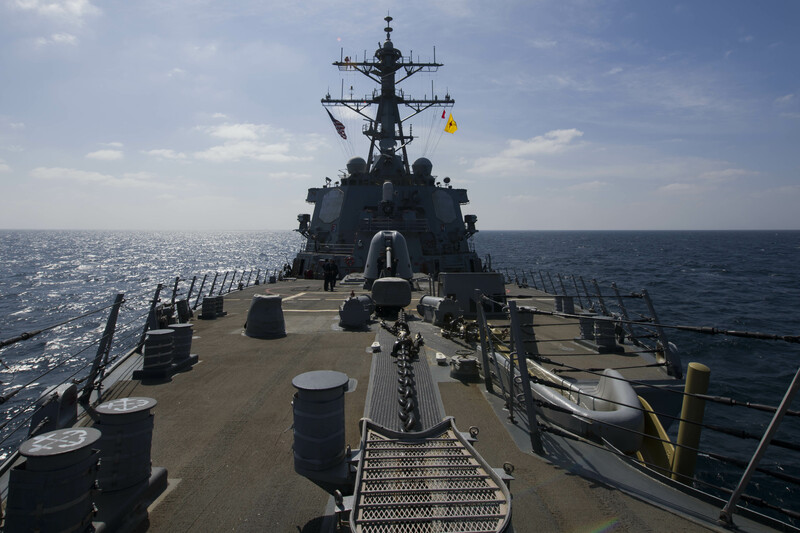 USS Cole (DDG-67) is now operating in the Gulf of Aden south of the Bab al-Mandeb strait that links the gulf to the Red Sea as of Friday, the official said. U.S. 5th fleet officials did not immediately respond to a request for comments. The destroyer was positioned in reaction to the Monday attack in which a Houthi explosive-laden suicide boat rammed into a Saudi Al Madinah-class frigate in the Red Sea killing two Royal Saudi Naval Forces sailors. The move was first reported by Reuters on Friday. The shift in Cole’s position is similar to the tasking of U.S. warships in October following the attack on the UAE leased logistics ship HSV Swift. “These are just the latest of a series of incidents in the past six months in which Houthi forces that Iran has trained and armed have struck Emirati and Saudi vessels, and threatened U.S. and allied vessels transiting the Red Sea,” read the statement. On Friday afternoon, the U.S. Treasury Department announced a new series of sanctions on Iran. The Norfolk-based Cole left on an independent deployment in December to Europe and the Middle East. Cole and its crew were the victim of a similar suicide boat attack when it was docked in Yemen in 2000. The attack killed 17 sailors and injured more than 30.